Northern Plains Power Technologies, the independent consultant hired by CENSE to conduct the study, is based in South Dakota (we had to look far and wide to find a consultant who wouldn’t be intimidated by a multi-billion-dollar corporation). The study will cost $18,000 and take a few weeks to complete. CENSE has already quietly raised almost half the cost from concerned citizens. We asked the City of Bellevue to share the costs, but the city council and city manager have not responded to our repeated requests. So we need 30 Bellevue heroes to contribute $300 each (one for each tree we will save!) to fully fund the study. Would you like to help preserve these beautiful urban boulevards for your children and grandchildren? For the next seven days, any $300 contribution to CENSE that is made on our Lake Hills Study donation page or by check will be dedicated to the Lake Hills study. Every dollar will be spent only for the study. We will notify you as soon as our goal is reached, and we won’t accept further donations for the study once our need is met. Will your support make a difference? With a study that validates a better alternative, we can ask PSE’s regulator, the Utilities and Transportation Commission, not to allow PSE to recover the costs of the project through increased electric bills. PSE’s investors would then have to cover the entire cost themselves and would receive no future revenue from it. 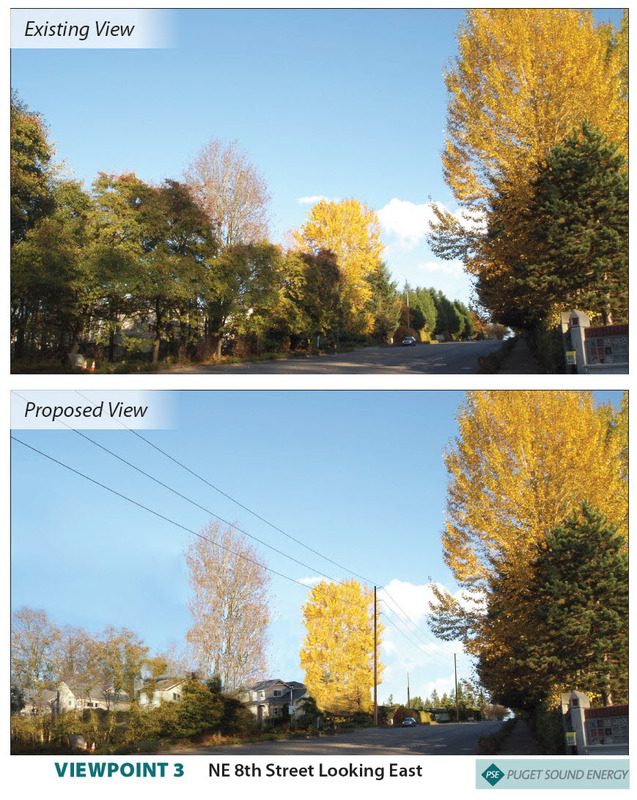 With no financial incentive, the transmission line will not be built. Your donation is likely to be the most effective $300 you will ever spend to defend your community from the greed of a foreign-owned company. Every time you walk or drive these beautiful streets, you will remember that you own part of that satisfying outcome. We did it together!